Large-scale attacks are getting cheaper to carry out, but the consequences are getting more expensive. Distributed Denial of Service (DDoS), a type of cyberattack that can crash a website with an overwhelming amount of fake traffic, are set to cost UK businesses more than £1 billion this year, new research has said. A new report by NETSCOUT claims that more than nine in ten (91 per cent) of businesses that suffered a DDoS attack last year also suffered downtime. That downtime usually lasts around half an hour, but for the unlucky few (nine per cent, to be exact), it lasted more than four hours. The average cost of such a DDoS attack was estimated at more than £140,000. NETSCOUT's CTO Darren Anstee says businesses are faced with an increasing threat mostly due to the fact that DDoS attacks are cheap, freely available and easily deployed. For the uninitiated, keep in mind, there’s this thing called DDoS-as-a-Service, which is exactly as it sounds. “Our research data revealed that around 86 per cent of major UK enterprises questioned were attacked at least once in 2018. 90 per cent of these UK businesses experienced downtime, which averaged 67 minutes for the year, and the downtime costs were estimated at £2,140 per minute,” Anstee said. The downtime that comes as the result of these attacks means businesses lose revenue, have increased operational expenses and have their reputation tarnished. Insurance premiums go up, while the number of customers goes down. 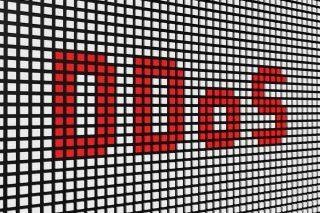 The conclusion of the report is – a successful DDoS attack has long-term negative effects.